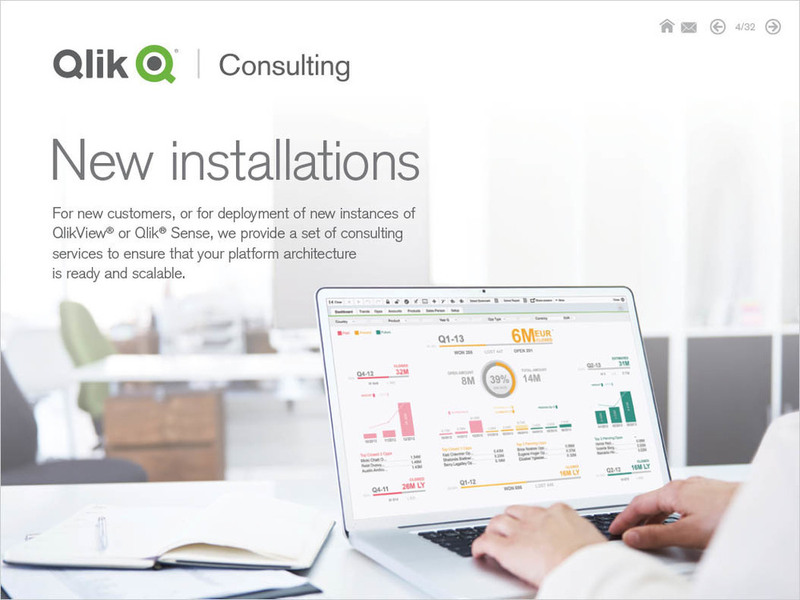 Qlik is a mid-sized data visualization company that allows enterprise users to see complex sets of data in new ways, in order to make better business decisions. 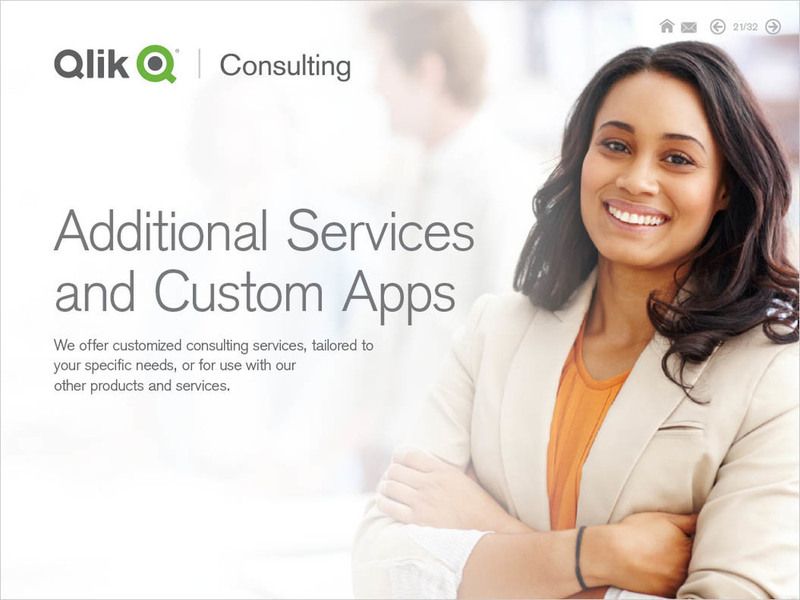 With three in-house designers at the helm, Qlik goes through a complete rebrand. This includes changing the company name and logo, an expansion of the color palette, new fonts, and communication templates. Qlik also needs a fresh take on how the product is named, visually represented, taken to market, and talked about. While external agencies run Qlik through the paces, making recommendations on company messaging, market positioning, and go-to-market communication strategies, we happily churn internally, deciding what sticks and what goes. This rebrand impacts a global organization with a large partner market, and includes enough pieces of collateral to keep us very busy for half a year. 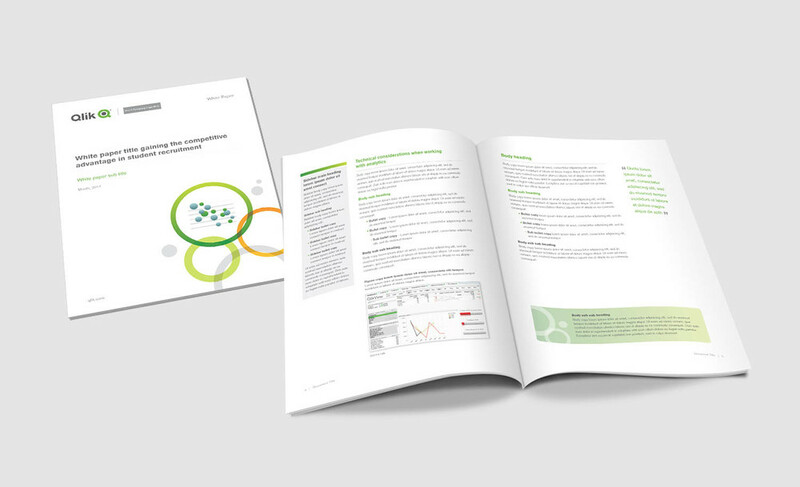 Created for the launch of a new software product, this video is the main feature on the Qlik website for the first month post launch. This photo shoot supports the new product launch for Qlik Sense, a data visualization software suite. This is the first time that the product has been imagined in a real environment (vs. a virtual space). The product experience is more human; an everyday part of life. As Art Director, I work on concept, location, background, lighting, and props. On location, I direct the prop stylist to select objects in the proper brand color spectrum and the photographer to maintain a consistent lighting style and camera framing. 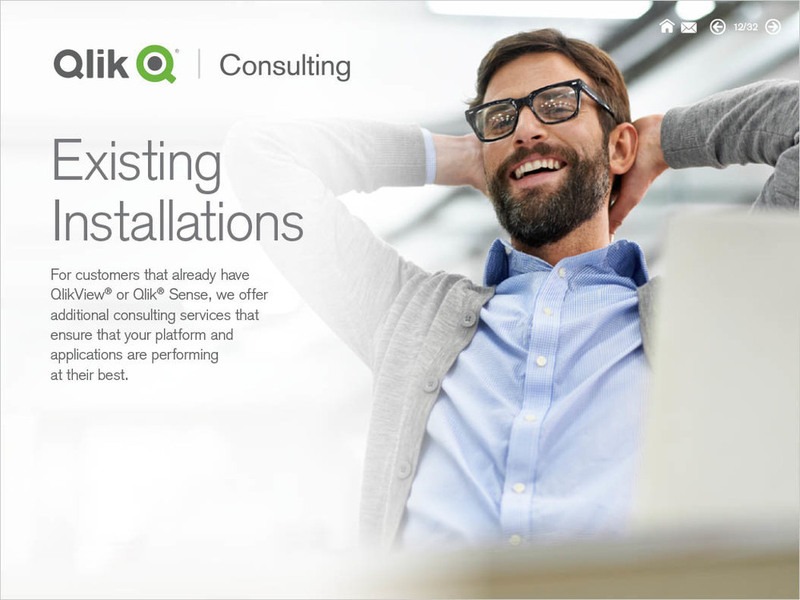 The images are used across a variety of media, from campaigns and advertisements to the home page of the Qlik website during product launch. This video is rear projected on constructed wall at a large event. The wall is used to divide up the space and deliver company messaging. Sometimes a simple solution just works. In this case, I create an Interactive PDF with a clickable table of contents, anchor jumps, external HTML links, and clickable email buttons. This catalog is for education services, and training on Qlik software.